On the eve of the highly anticipated announcement for the 2016 NFL Hall of Fame Gold Jacket – Semi-finalists list, former players and coaches will be waiting with bated breath to find out if they have been included among this elite listing of NFL greats. The semi-finalists list will be distributed to Hall of Fame voters who will ultimately decide on which players will be inducted into Canton, Ohio, prior to the 2016 preseason Hall of Fame Game. This year’s list of players who are eligible for induction for the first time includes QB Brett Favre, WR Terrell Owens and QB Kurt Warner. 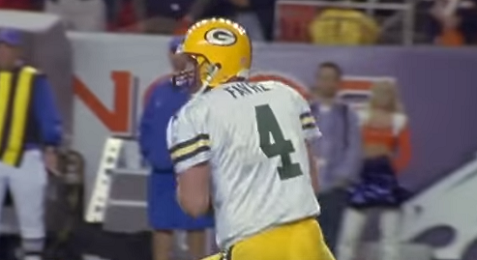 Favre is a lock to be nominated and voted into the Hall of Fame after an outstanding career that left him standing as the all-time completions leader (6,300) and second all-time leader for passing yards (71,838) and passing touchdowns (508). Owens is another who would be considered a lock if not for his brash polarizing attitude. He will probably make it in, but it will painful for some voters to place that vote despite the man’s career that left him as the second all-time receiver in yards with 15,934 yards. Warner is another possibility for induction after winning a Super Bowl and being voted league MVP on three occasions. Of course, there will be a list of players and coaches who will feel snubbed by the process. These are people who amassed great achievements, but may have factors that work against them when it comes to consideration for the Hall of Fame. Here’s a look at a few players and coaches who might get snubbed. RB Terrell Davis – During his 7-year career that was shortened due to a series of injuries, Davis was one of only three running backs in league history to win both the Super Bowl and league MVP in the same season. On three occasions, he rushed for over 1,500 yards with 10 TDs in a season and in 1998, he became one of only seven members to join the elite 2,000-yard club. The biggest knock against Davis is the fact he played in only 78 games during his career. Head Coach Tony Dungy – After a decent career as a player, he moved into coaching. During his coaching career, he became the first African American coach to win a Super Bowl, something he did on two occasions. He also holds the NFL record as a head coach with 10 straight playoff appearances (Tampa Bay 1999-2001, Indianapolis 2002-2008). The only major knock is Dungy has never been mentioned among the coaching greats. DB Darren Woodson – Woodson played his entire 13-year career with the Dallas Cowboys where he still ranks as the team’s all-time leading tackler with 1,350 tackles. During his career, he was a 3-time All-Pro selection and 3-time Super Bowl champion. With several other defensive backs waiting for possible induction, his nomination seems unlikely. DB Ty Law – Law is another great defensive back who might have issues getting nominated because he played the wrong position. He currently ranks #22 all-time in interceptions as is often considered one of the Patriots best defensive players ever. He was part of three Super Bowl championships and was selected to the All-Pro team twice. With access to bookmaker free bets, you can turn those free bets into a bankroll that will provide you wagering capital for the playoffs or NBA basketball. Bookmaker free bets are usually offered to both new members as well as loyal existing members. If you want your free bets today, visit www.freebets.com.au.